Have a speedy and full recovery Julia. I am sure someone will have reayed the ground breaking ruling from the Spanish Tax Office. I am sure Antonio is preparing the neccessary writs to the courts to have these obnoxious equity release contracts “null & void” It is facinating to go back to the old posts on erva and once more get aquainted with what Mr. Dewsnip the once Director of Rothschild bank in the Channel Isles said. Without doubt he as a spokesman for Rothschild stated emphatically that their scheme would reduce Wealth Tax & Inheritance Tax. We now know this to be not the case. Good luck with your recovery and your fight ahainst Rothschild and their agents. I just want to remind you that according to erva and their lawyers that it has been ruled in the Provincial Courts that any contract signed for the purpose of evading Taxes should be “null & void”. Whilst the Supreme Court has upheld this decision they have ruled that compensation would not be payable as the contracts never existed in the first place. This to me seams to state that every one should be placed in the same position as they were, prior to entering into this fraudulent contract. It is amazing what you learn on this web site. 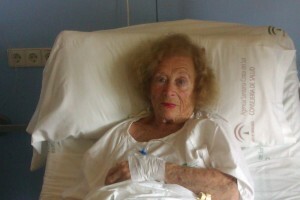 I am sure that at your tender years 90 years young, I believe, that you will have a complete recovery. I hope also that your fight against the Rothschild Equity Release Scheme will soon come to an end, for the reasons mentioned by pjames. You certainly have enough evidence to win. I cannot understand why with so much evidence against them that Rothschild do not start a dialogue with the Rothschild vicitims. Litigation is one thing Tax Evasion or the incitement to commit Tax Fraud is a very serious matter. One would have thought that they would be better off settling this matter. It may be that Rothschild were given the wrong Tax ruling by their tax advisers, if this is indeed the case then Rothschild should state their case and sue these people for wronfull advice. If they don’t then I presume that they were completely aware that the scheme was in fact fraudulent. It will be interesting to see how matters develop. We all wish you a very speedy recovery Julia. We are all in this together and we will not be defeated by the Banksters and their friends! Julia, I wish you a complete return to good health. Keep on fighting for the justice you deserve against Rothschild and their agents that placed you in such a terrible position.